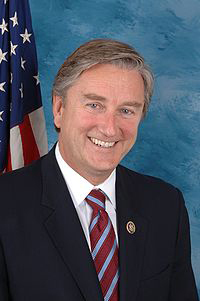 WASHINGTON, D.C. – Today, Congressman John F. Tierney (D-MA), along with Congressman Chris Gibson (R-NY) and Congressman Richard Hanna (R-NY), introduced the International Human Rights Defense Act. This bipartisan legislation would direct the U.S. Department of State to make international LGBT human rights a foreign policy priority and would establish a position within the State Department’s Bureau of Democracy, Human Rights, and Labor to be responsible for coordinating that effort. “Around the world, LGBT individuals are denied the fundamental freedoms that every American holds dear, and the universal human rights their governments have pledged to respect. A Special Envoy can work with other countries to strengthen these freedoms and commitments, and to ensure that cultural differences are not an excuse for discrimination and abuse. The Council for Global Equality welcomes this bill’s introduction and urges its speedy passage,” said Amb. (ret.) Michael Guest, Senior Advisor, Council for Global Equality. The International Human Rights Defense Act is supported by a number of prominent equality organizations including Amnesty International USA, Council for Global Equality, RFK Center for Human Rights, Human Rights Campaign, Freedom House, Human Rights First, American Jewish World Service, National Center for Transgender Equality, International Gay and Lesbian Human Rights Commission, National Gay and Lesbian Chamber of Commerce, and Advocates for Youth. Similar legislation was recently filed in the Senate by Senator Edward Markey (D-MA). A full list of original cosponsors: Representatives David Cicilline (D-RI), Elizabeth Esty (D-CT), Chris Gibson (R-NY), Richard Hanna (R-NY), Alan Lowenthal (D-CA), Jim McGovern (D-MA), and Jan Schakowsky (D-IL).